Portable system is more affordable and has the fastest installation process. Because the installation is not permanent, it is the most cost efficient installation. A major factor in this installation is that the system is portable; therefore N.E.C does not require the power plant to meet the load calculations of the service that it is energizing. Because the installation is not permanent, this system needs three basic steeps in order to make it work. With the installation of an automatic home stand-by generator from Electrical Duties, you can take the worry out of power outages. Thegenerator will operates whether you are at home or away. It automatically supplies power to essential circuits within seconds of a utility outage. The system operates on natural gas or liquid propane basically, and is placed outside just like a central air conditioning unit. 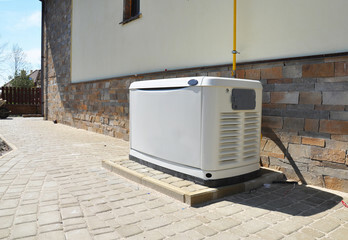 • We will advise you about a customized generator solution. At Electrical Duties, we can provide you a customized generator solution that best suits your individual needs.